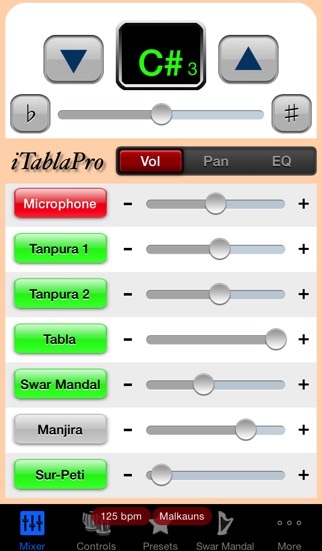 This is the best tanpura app I have used so far. I use it for my music of course, but in addition that, I use it for meditation as well. I also use it to block all outside noise in public and focus on my work. Great app!! Great sound quality! when connect my iPhone to my jbl speaker and play the metronome the sound is small in some beats. But at the same time when I stopped the apps and play music from liberty it’s okay when speaker. I don’t know what that problem. This software was well designed. It is very easy to learn how to use all of the features just by opening all of the menus and reading the choices. The sound quality is excellent. 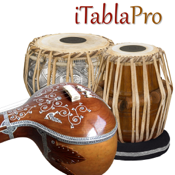 I love how you can make the tabla play more fills for the vilambit tempo and choose between several variations of how it plays theka at any tempo. You can even fine tune the tampura settings in great detail. The designer thought of everything. I love how You can still see how much battery power is left on your phone while using. 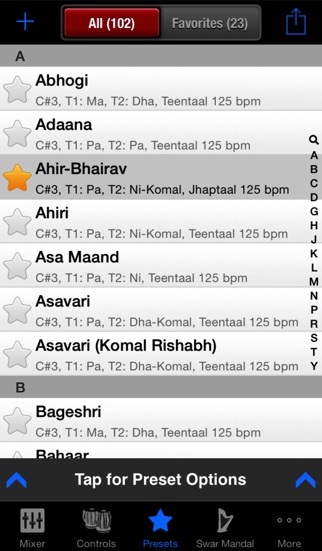 This app is any serious Hindusthani or Carnatic music student or performer’s best friend. I have been using iTabla for quite a number of years now and use it almost daily. For many years I was a student of North Indian classical music, and for many years since, I have been a jazz musician, retaining many of the ideas and concepts of Indian music. So in addition to practicing ragas and talas, I also use it for less traditional purposes, such as non-traditional tanpura tunings, and for general practice in odd meters. Also, every musician can benefit from practicing regularly with a drone, as it can greatly improve your subtle sense of pitch. 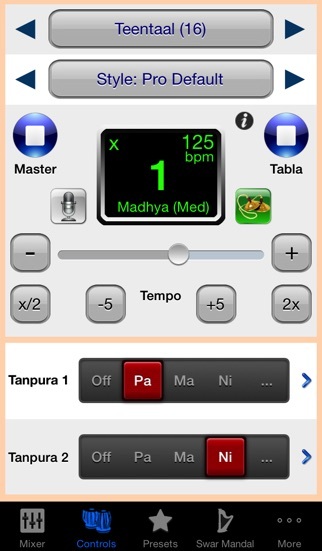 The app is also extremely well designed, and I would recommend it not just for students of Indian music (for whom it is really essential), but for any musician who wants to practice modal music with configurable drone accompaniment, or wants to practice in a wide variety of metric patterns. 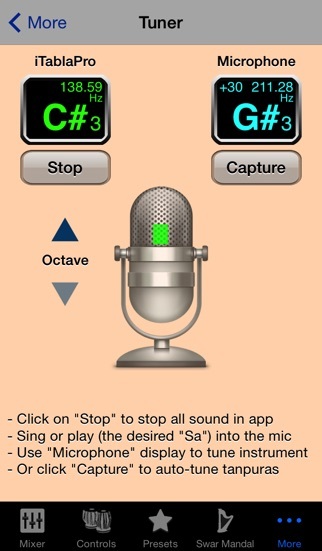 It also can provide a very useful background for all sorts of vocal exercises. Unless you have a couple of decent Indian musicians who can accompany you whenever you want, you should have this app, and probably even then. I have used this numerous times for practice and performance. It's pricey for an app, which made me hesitant to purchase at first. However, it has been a great investment. 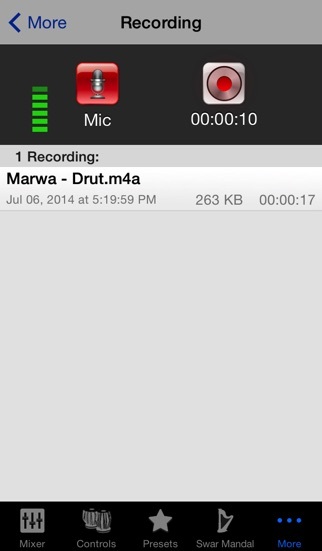 It sounds great, it's flexible, it's easy to use, has a nice interface, and has numerous great features.